From treading the halls of renowned product design companies to hearing Google developers discuss the latest app, 56 Lehigh University students got the experience of a lifetime over winter break, participating in the latest LehighSiliconValley immersion trip to California’s Silicon Valley—a trip that took place as Lehigh is rapidly expanding its presence on the West Coast. The cohort of undergraduate and graduate students spent 10 days in the hub of entrepreneurship, birthplace of cutting-edge technologies and world-changing business models. They interacted with CEOs, investors, entrepreneurs, inventors, product designers and others who play key roles in building new enterprises to learn about the ecosystem and culture. Along the way, they met Lehigh alumni who lead and innovate at such companies as Google, Adobe and Alaska Airlines and in industries spanning venture capital, software, startups, data analytics, consulting, technology, finance and marketing. The program, a flagship of Lehigh’s Baker Institute for Entrepreneurship, Creativity & Innovation, is one of a growing number of Lehigh initiatives on the West Coast. Among the most notable is the university partnership, launched last year, with the nonprofit Nasdaq Entrepreneurial Center in San Francisco. The university has also continued to expand its Western Regional Office, which aims to create new opportunities for current and prospective students and greater connections with industry. 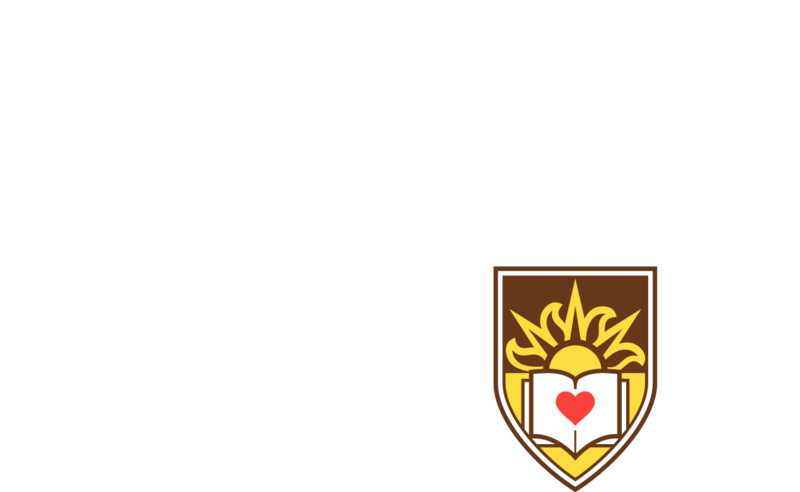 Lehigh has about 8,000 alumni in the western region and about 2,000 in the Bay Area. Sandy Stelling ’91, managing director of process engineering at Alaska Airlines, shares her journey applying systems engineering to innovate through several jobs and fields in the airline industry at a dinner for LehighSiliconValley students and guests. Paul Martino ’95, founder of Bullpen Capital, speaks to students about his company’s “subversive” approach to venture capital. “We are always looking for the diamond in the rough that everybody else missed,” he said. Emma Isaacs ’19, a materials science and engineering major, generates ideas at a “Design Sprint” during LehighSiliconValley. A sprint is a time-constrained process in which participants use design thinking to go through five steps—empathize, define, ideate, prototype and test—to generate new ideas for bringing a product, service or feature to market. Shannon Varcoe '15, '16G, innovations program manager for Lehigh University’s Baker Institute for Entrepreneurship, Creativity and Innovation, instructs students in the program at Lehigh@Nasdaq Center. Founders of two startup companies that have completed Nasdaq Entrepreneurial Center’s Milestone Makers program talk with LehighSiliconValley students during the “Design Sprint.” At center is Lisa Getzler, executive director of Lehigh’s Baker Institute for Entrepreneurship, Creativity and Innovation, which offers LehighSiliconValley. The sprint provided new ways to approach issues and brainstorm, said IDEAS major Rachel Shields ’18. “I think we all had a lot of cool ideas and some of it seemed to be aligning with what the company wanted to do, so I think we definitely inspired more ideas in them and they inspired more ideas in us,” she said. Students in LehighSiliconValley’s Design Thinking track tour IDEO, a San Francisco-based global design and innovation company. Ted Selker speaks to the LehighSiliconValley Design Thinking track students at Lehigh@NasdaqCenter. Selker is a computer scientist known for his user interface inventions, and for his work in creating and testing new scenarios in computing systems. Selker consults for startups and large companies and leads innovation workshops. Nicola Corzine, executive director of Nasdaq Entrepreneurial Center in San Francisco, welcomed LehighSiliconValley students to the 4,500-square-foot Lehigh@NasdaqCenter. “I’m always so impressed with the LSV students and the strength of talent and how authentic they are,” she said. Finance major Alexandra Ross ’19 listens during a presentation at Silicon Valley Bank during the FinTech (Financial Technology) track. Silicon Valley Bank backs more than half of all startups in the U.S., SVB Managing Director Gerald Brady said. He noted the average age of first-time founders is now 26. Teri Llach, chief marketing officer of BlackHawk Network, a global financial technology company, speaks to LehighSiliconValley students in the FinTech track at Lehigh@NasdaqCenter. Tinotenda Petros ’20, Kyle Berman ’19, and Tommy Chen ’18 (left to right), build Raspberry Pi sensor kits during the Software Engineering Track at OSIsoft. OSIsoft delivers an open enterprise infrastructure, PI System, to connect sensor-based data, systems and people. Students uploaded data to the PI System so they could see and manipulate data in the cloud, and then participated in an “idea hackathon” to present ideas for new markets and customer value for the products. LehighSiliconValley students in the Software Engineering Track tour Adobe’s San Jose office, which included a visit with Ann Lewnes ’83, the company’s executive vice president and chief marketing officer. Lewnes, whose son will start at Lehigh in the fall, said she was “very excited about young people from Lehigh coming out” to Silicon Valley. Students learned about Adobe’s digital experience software and Adobe staff sat down with students to provide resume reviews. LehighSiliconValley students in the Software Engineering track tour the expansive Google Campus in Mountain View, California. There, they met with Jiyuan Yao ’17G, right, a Lehigh electrical engineering Ph.D. alumnus who works at Google as a software engineer. Students engaged in a Q&A with Lehigh alumni who work at the tech giant and learned about the company’s philosophy, products, workflow, hiring practices and workplace culture. Jonathan Blum ’18 and other Software Engineering Track students visited Plug & Play, a global leader in funding and acceleration of high-tech companies. The firm connects startups to corporations and invests in more than 100 companies a year.